Have you been ticketed in NJ for driving while suspended for a DUI conviction? If so, you are facing very serious consequences! Driving in New Jersey while your license (or NJ driving privileges, if you are licensed in another state) is suspended carries some serious consequences. However, if you are driving while under an active suspension for drunk driving, the penalties become "enhanced" and are assessed on top of those normally meted out for the offense. Third or Subsequent Offense: $1,000 fine and 10 days in jail! Each offense also carries a potential additional license suspension of up to 180 days and a $250/year surcharge for three years. So, all told, you face jail, a fine of $1,000, and a 1-2 year suspension, not just 180 days! But It Could Get Worse! However, if you are convicted a second time for driving while suspended on that first offense DUI suspension, or on a suspension for a second or subsequent DUI, it is also considered a fourth degree crime (New Jersey's version of a felony)! Instead of 180 days in county jail, it could be 18 months in state prison! Obviously, flouting your DWI license suspension is a really bad idea! Should you be convicted for DWI, it is best not to drive until your license is restored. 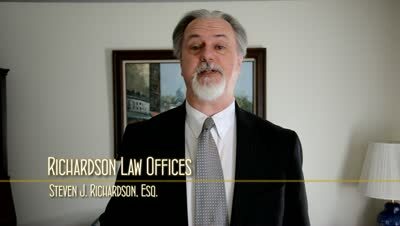 If you have been charged with driving while suspended while driving through southern New Jersey, realize that you need a lawyer to represent you, and are ready to take action now, then call me immediately at 856-432-4113 or contact me through this site to schedule a consultation in my Woodbury office to discuss your options and possible defenses. Driving on a License Suspended for a NJ DUI Could Be a Felony! What can happen to my commercial driver's license (CDL) if I drive a commercial vehicle while my CDL is suspended or revoked in NJ?